After an impressive qualifying campaign for the 1994 World Cup, Colombia traveled to the United States as one of the favourites to do well in the finals. However, after a disappointing 3-1 loss to Romania they were left needing a result against the hosts. On 22 June, defender Andrés Escobar misjudged a cross from US midfielder John Harkes, knocking it into his own goal in the 34th minute. The Americans doubled their lead early in the second half through Earnie Stewart, and despite Adolfo Valencia pulling a goal back for the South Americans, the US would hold on for an unexpected victory. This result would eliminate Colombia from the tournament regardless of the outcome of their final group match against Switzerland. Despite downing the Swiss 2-0, Colombia headed home bitterly disappointed in their performances in a tournament they were expected to do well in. His assailant reportedly yelling "gol!" as he unloaded his .38 caliber pistol at Escobar. Later that day the police arrested Humberto Castro Muñoz, a bodyguard for members of a powerful Colombian Drug Cartel, one of whom's members had lost heavily after betting on his country to do well at the World Cup. Found guilty of Escobar's murder in June 1995, Muñoz was sentenced to 43 years in jail but was released after only serving 11 years of his sentence. 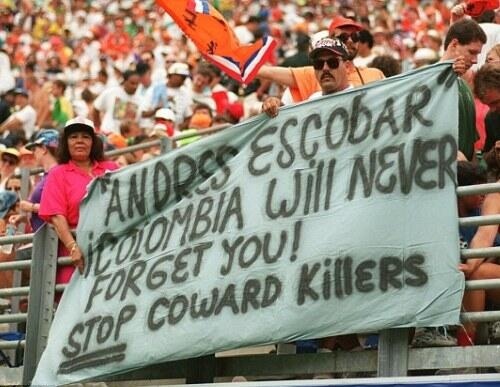 Escobar, who had worked to improve the image of a country synonymous in those years with the drug trade, was widely mourned by his country men and in particular fans of Atlético Nacional. 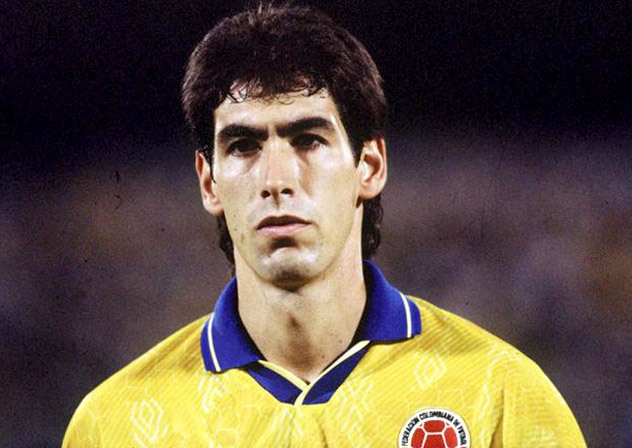 His family would later found 'The Andrés Escobar Foundation' to help poor children in Colombia learn how to play football.